Is it the Ark Remains? During the summer of 2015 part of the “Ark-Quest” team was on Greater Mount Ararat, and took a number of photographs of an (alleged) ancient architectural constructed object. The object resembled “A Triangular ‘A’-Framed (House-Like Roof) on an ancient ship-like-hull” in ruins. Said artifact rests in a semi rectangular horizontal plateaued-like cliff shelf “hollow cavity” recessed into Mount Ararat. There it was, written in 10-inch letters on the roadside marquee of a little country church. 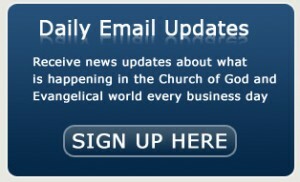 “Revival This Week With Evangelist Daniel Norris.” When I saw it, it made me chuckle a little on the inside. That statement always amuses me. A new book by the Very Rev. Dr. Godson Paul-Nzeh, A Crack In The Church And The Biblical Solution, reveals and challenges the progressivisms in Anglican Church especially from the province in North America. It shows the harm the ideology has done to the faith once delivered to the saints. He stresses that spiritually the ideology has created a crack in the Church. This includes the Church challenging traditional marriage before the government and most of the western countries followed suit. The author believes that the spiritual revival the church is waiting for will come only when the church goes back to Biblical values. This book will effectively help a student of theology to grasp the meaning of theology – generally and specifically – the reformed/Anglican theology. It will also help the reader to follow the present historical events and radical ideological changes that the Church is experiencing. During a pre-construction survey prior to building a new road, Israel Antiquities Authority archaeologists excavated a 7,000-year-old settlement in a northern Jerusalem neighborhood. We continue our study of some of the greatest Christian lives with one from more recent times, Leonard Ravenhill. I was privileged to get to know him in his final years, and I count him as one of the great Christians I have known. Interest in Aramaic has soared over the past decade, notably after the release of Mel Gibson’s blockbuster movie The Passion of The Christ, which was filmed in Aramaic and brought Aramaic to the attention of an international Christian audience. A television commercial airing nationwide on Presidents Day weekend will help remind Americans that God and religion were foundational to this country’s best-remembered presidents. The commercial first aired in 2012. In a controversial new book, historian Steve Weidenkopf challenges the widespread notion that the Crusades were barbaric wars of greed and religious intolerance. The Glory of the Crusades replaces such persistent modern biases with a more factual and nuanced–yet no less compelling–vision of Christendom’s 600-year struggle to reclaim the Holy Land.